Interested in knowing more about India’s rich culture and heritage? Here is an event that you should not miss! 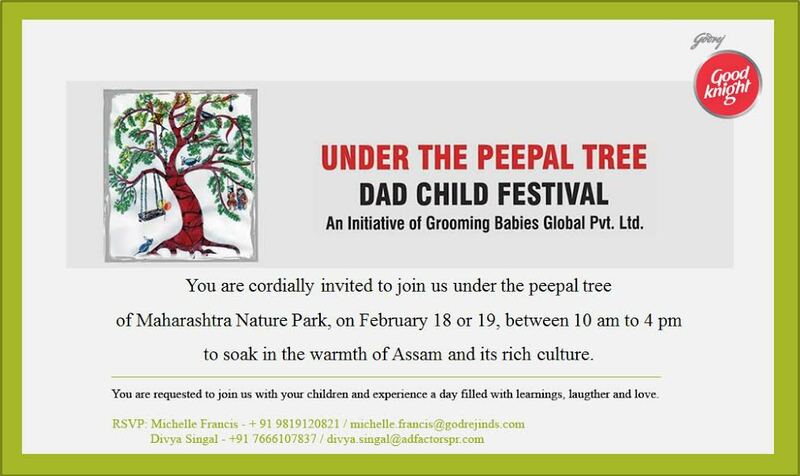 UNDER THE PEEPAL TREE is an annual festival of Indian state culture, exclusively designed for children. In its fourth year, the festival is scheduled to be held on Saturday, February 18 andSunday, February 19 between 10 am and 4 pm at Maharashtra Nature Park, Dharavi, Mumbai. Every year, the festival selects an Indian state, bringing alive its folk and literary culture through various workshops, activities and performances. This year, the beautiful state of Assam will take the centre stage, with over 20 Assamese artists performing. The activities include a mix of games, outdoor play, creative workshops, experiential engagements, nature trails and cultural performances. Storytelling, opera of life-size puppets, Bihu Naas, Jhumur dance, awareness trail on one-horned rhino, village games, classical dance narrative, musical narrative, play of folk instruments, dress up games, mud play are some of the engagements planned for this year. Attached and appended is the invite for the event. It would be great if you could let us know of your interest in attending this event by responding to this email.